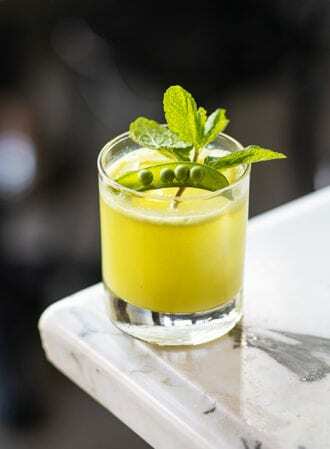 Snap peas bring a fresh springtime flavor to this cocktail from Cafe Birdie in Los Angeles. Muddle the mint and snap peas together in a shaker tin. Add the remaining ingredients and shake with ice until chilled. Fine strain into a rocks glass over a large ice cube, then garnish. Irish whiskey meets brown sugar-chai syrup.